Imagine being the kind of conversational hypnotist who was able to influence nearly everyone you meet? So much so, you’re able to easily inspire them to do great things… or even shift an outdated mindset? 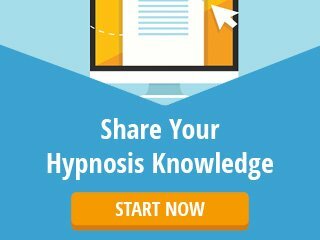 This is the unique “gift” a great conversational hypnotist is able to share with the world. Once you understand the techniques and principles involved, you can take things a considerable distance further. So that when you walk into a room people’s faces light up with pleasure. So that when you ask your teenage children to do something they agree without putting up the tiniest bit of resistance. So that your customers want to do more business with you just because they feel compelled to be in your company. 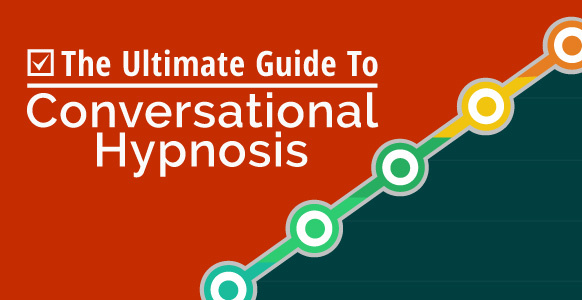 When you master conversational hypnosis, you’ll become irresistible. You’ll ooze charm in an effortless manner. You’ll develop the power to make each and every interaction with other people more powerful, more meaningful, and a lot easier. You’ll gain the ability to change people by making sure they have more fun whenever they’re around you. You’ll get people to do what you ask in a way that somehow makes them feel good about it. In other words, once you’ve got conversational hypnosis under your belt, you’ll be making the world a better, happier, more interesting and agreeable place to live. Bet you can’t wait to get started. But first, let’s find out what it takes to be able to become a fluent conversational hypnotist. The above 3 ingredients will give you everything you need to make life more enjoyable for yourself and for everyone around you. Let’s break them down to see what each part of the process involves and the individual techniques that fall under each of them. Part 1: Work On Your Attitude! You’ve probably heard or read about H+. H+ refers to your ability to connect with other people from the moment the interaction begins. It’s all about intention, putting aside your own thoughts and opinions so you can get in sync with the person in front of you. Hypnosis with extra positive energy. Hypnosis geared at doing everything you can to make the other person’s life more enjoyable and fulfilling. Imagine trying to smile at someone when your heart is breaking. Or trying to help someone relax when your head is filled with images of a stressful situation at work. No matter how hard you try, you simply won’t be able to manage it. There’s too much incongruity between what you’re thinking and what you’re saying and doing. In other words, you can’t work toward one thing if you hold conflicting ideas about it in your head, because those conflicting ideas will show up in your performance. In the way you speak, in your body language, in your behavior, in the tonality of your voice, and even in the way you breathe. So the trick is to get yourself into the right frame of mind before any interaction takes place. Suppose, for example, that someone you know is constantly feeling stressed. With your conversational hypnosis skills, a few minutes with you and they should be feeling a lot more relaxed. Lighter, happier, like a weight’s been lifted off their shoulders. That’s not likely to happen though, if you’re feeling stressed yourself. Perhaps because someone snapped at you while you were waiting in line at the post office. Or maybe another driver cut you off on the freeway. Or a colleague at work is making things uncomfortable for you. If your head is full of those kinds of thoughts, you won’t have the clarity or peace of mind you need to be of any use to anyone else. In ordinary situations, you might smile and shake hands. You might talk about something you have in common, like a particular sport or hobby. You might share a memory of when you were in school or university. These are typical ways of building rapport with another person. And then, there’s hypnotic rapport. Remember that the aim of every kind of hypnosis is to communicate with another person’s unconscious mind. That’s where the magic happens. 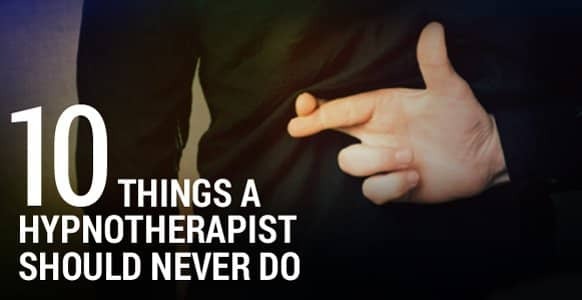 So when we talk about rapport in terms of hypnosis, it’s a little bit different. Ever noticed how with some people you find it incredibly easy to start and maintain a conversation? You just seem to hit it off and never run out of things to say. While with other people, just getting the conversational ball rolling can be a mammoth task, like trying to clamber up a hill when there’s a fleet of monster trucks pulling you back down. Why does that happen? Because the people you hit it off with are comfortable in their own skin. They communicate to you on an unconscious level that they feel good about themselves. They project a sort of aura of trust and security that allows you to open up and feel comfortable within yourself. The others, however, send out a different set of messages altogether. You sense that they’re awkward, inhibited, nervous, and probably scared of saying the wrong thing. Or of saying something they don’t want to say. And that makes you feel uncomfortable and less willing to get involved. Needless to say, you want to be like the former group. You want to be the one who communicates a sense of trust, a sense of calm, a sense of comfort and security. It’s all tied in with H+ and with going first. To undertake any kind of hypnosis on another person, you need to be able to achieve 3 things. Hypnosis is a natural, highly-focused state of mind. It’s not focused on what’s going on in the outside world, but on what’s going on inside in the unconscious mind. That’s why you need to draw the other person in, to pull them into the hypnotic experience so you’ve got their attention. Because, let’s face it, if you haven’t got their attention, nothing you do will make the slightest impact on them. And if you haven’t got their attention, how can you possibly hope to put them into a trance? What do we mean by the critical factor? It’s simply filling your head with a bunch of limitations. Since the goal is to get at the unconscious mind, you need to bypass the critical factor and stop it from interfering. You need to stop it from distracting the other person so they can push past those limitations and enjoy new and liberating experiences. It’s probably obvious to you by now where we’re going with this. Once you’ve got the other person’s attention, and once you’ve bypassed their critical factor, you’ve already started stimulating the unconscious mind. You’ve already begun the process of taking them into a hypnotic state. As you can imagine, this process is a fluid one. It can happen in a matter of minutes, or even seconds. It’s been broken down into steps to give you some insight into what’s taking place, but in practice it should be smooth and flowing. For instance, all the techniques mentioned above for bypassing the critical factor can be used together, all at the same time. So let’s take a quick look at each one in turn. Everybody loves a good story, whether they read it themselves, have it read to them, or watch it on a screen. Stories have the power to transport us to different times and places. They give us permission to step out of reality for a period of time and put our everyday lives on hold. Stories can be about something that happened to you, something that happened to someone else, as in the My Friend John format, or something you heard or read about. As soon as you start telling a story, the other person starts listening. They want to know more. They’re keen to hear what happens, who does what, how the plot unfolds, and how things get resolved in the end. Even the most gripping story can be made more powerful by spicing it up. One way to do that is with metaphors and similes. So instead of saying you had an enjoyable meal out, you might say your steak was as soft as butter. Perhaps the restaurant was as posh as a palace and the serving staff treated you like royalty. The first 3 in the list are linguistic bridges. They combine things. So you can say close your eyes and relax, although one thing doesn’t necessarily guarantee the other. But the word and creates a linguistic bridge that links the two thoughts in your mind, and that’s often enough to activate the unconscious. Likewise, you can add the other two words in to create a cumulative effect. So you might say close your eyes and relax because it feels good to let go of all that stress which means you can allow yourself to feel comfortable. The words imagine and remember work in a slightly different way. As soon as you ask someone to imagine something, it activates their imagination. And where is their imagination? In their unconscious mind. The same thing happens when you ask them to remember something. Memories are not part of their conscious world, so to access them they have to go inside. We’ve already hit on a hypnotic theme or two. 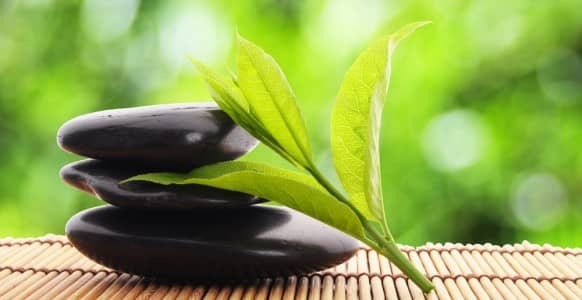 For a lot of hypnotic processes, the main themes concern relaxation and feeling comfort. They’re also called trance themes, although that’s just another way of describing the same thing. 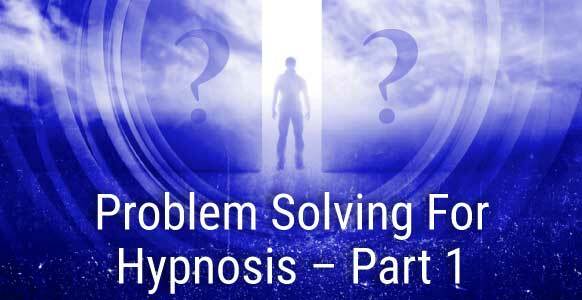 Other hypnotic themes could be safety, security, peace, unconscious, dream, or even hypnosis. 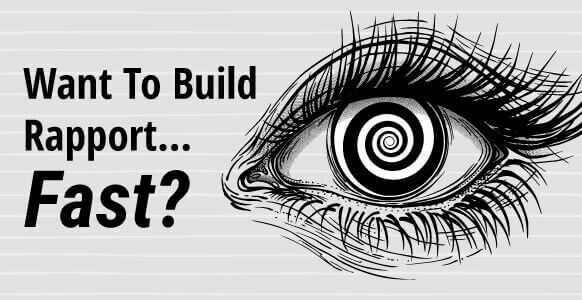 You take whatever hypnotic theme you want to focus on and use power words or linguistic bridges to turn it into a smooth and compelling hypnotic conversation. Even with just these 5 power words you can talk for a very long time if you want to. And once you sprinkle in a few metaphors or similes, it’s easy to see how even the simplest of stories can become a compelling adventure that you absolutely have to engage with. Hot words are words that are emotionally charged. They have power and energy built into them, which gives them the ability to penetrate through to the unconscious mind. But unlike other words that you might use, hot words do something extra. They evoke a strong reaction, an emotional response, which can only come from one place – the unconscious mind. And as soon as you have that response you can start to make use of it as part of the hypnotic process. You can find hot words in plenty of different places. They’re used by inspirational teachers, politicians and motivational speakers. They litter the pages of the more sensationalist newspapers and tabloids. They also make frequent appearances in the many forms of advertising you’re subjected to on a daily basis. Hot words are designed to grab your attention, to pull you straight into a story, to get you to react and to elicit an emotion. As you can see, that’s most of the ABS Formula in a nutshell. Both headlines tell the same story, but the first one is more engaging. The words “flees” and “stolen” are simple, direct, and packed with emotion. He didn’t just leave the country, he fled. He didn’t just take the money, he stole it. Your emotions can’t help but be stirred up when you read it, thinking about the man’s greed, his criminal activity, the workers and suppliers who’ll never get paid, the state he’s left his family in, and so on. Of course, everything you’ve read about so far has a real purpose. And that purpose is to create a hypnotic experience. In other words, to put someone into a hypnotic trance so you can communicate with their unconscious mind. But how do you know if you’ve achieved it? When someone’s in a trance, you’ll be able to tell. There are certain trance signals you can watch out for. Since everyone’s different, you’ll notice some people doing one thing and some doing another. But once you know what the signals are, you’ll find it easy to spot them. And as soon as you do spot them, that means the person’s unconscious mind is paying attention. These are all signs that someone is going into a trance. But spotting the signals is just the beginning. If you were in a formal hypnotherapy session, you’d describe these trance signals to the person. For example, you’d tell them that their breathing has slowed down. Or that their eyes seem to want to close, or that they’ve stopped moving. This creates a feedback loop that actually reinforces the trance process. But if you were just sitting in a restaurant talking with someone, you’d simply acknowledge to yourself that the other person is entering a state of trance (and that whatever you’re doing is working). When starting out, it can be overwhelming to have this much information presented to you all at once. But really the trick to learning conversational hypnosis is to put yourself into a state of H+ first, and get comfortable with using power words, stories and metaphors until it becomes second-nature. 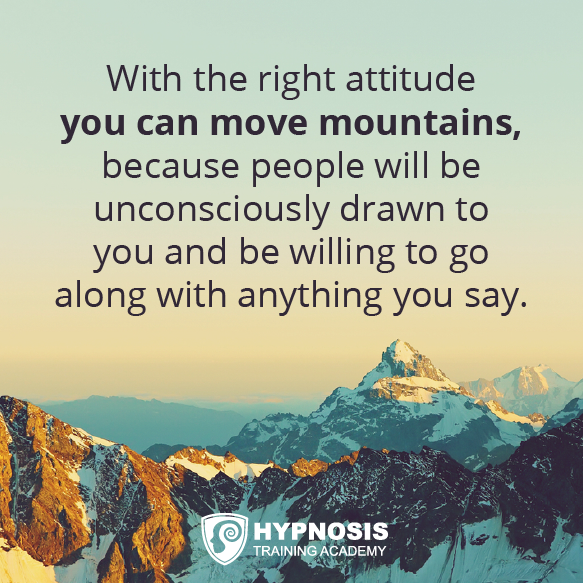 Once you gain the confidence to try things out and see how they work, you’ll be well on your way to using conversational hypnosis in your daily interactions. 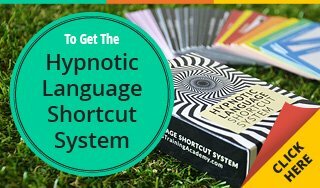 If you’re new to conversational hypnosis, or want to learn more about hypnotic Power Words and phrases (70 of them, in fact), we have a free gift for you – the Hypnotic Language Shortcut System. 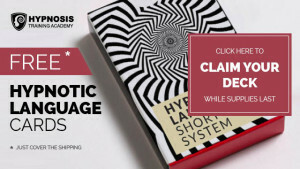 These cards contain 70 unique hypnotic language words and phrases, plus, you’ll also get access to 2 hours of in-depth video training and 3 hours of audio training – helping you to really become an expert in conversational hypnosis!